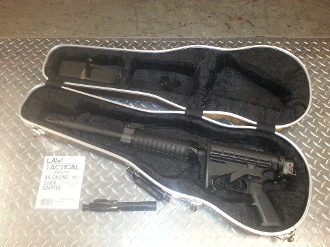 Custom Thugcase that accomodates The Law Tactical AR Folding Stock Adapter. Case accepts limited installed optics. Storage added for optics, gear and mags. Check local and state regulations regarding alterations to your weapons platform.